“You guys don’t know what to do with cut flowers,” my mother said when she saw some cut snapdragons in a glass with no water in it. 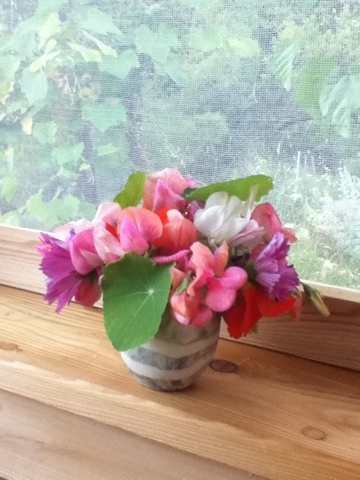 Ali had cut them so that I could smell them; they were supposed to be scented and it turned out they were. 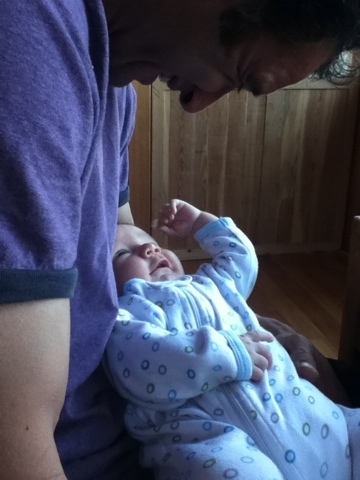 And on a completely unrelated note, here is Kaya charming his daddy.